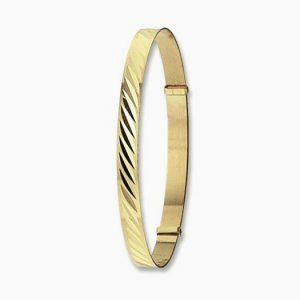 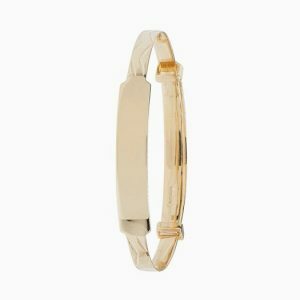 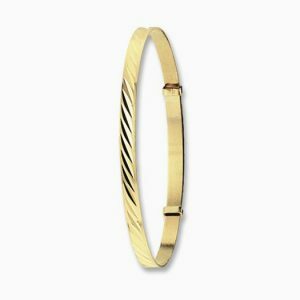 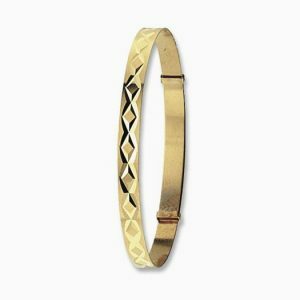 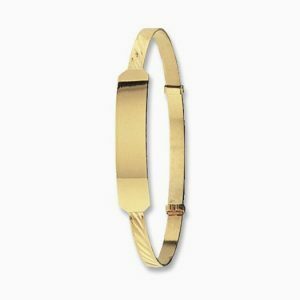 9ct Gold Baby Expandable Identity Bangle With Diamond Cut Pattern. 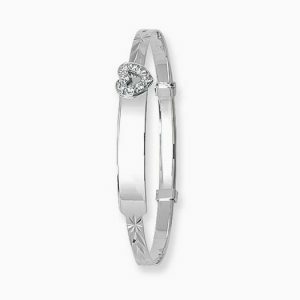 9ct White Gold Baby Expandable Identity Bangle With Cubic Zirconia Heart Motif. 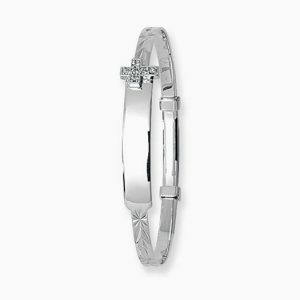 9ct White Gold Baby Expandable Identity Bangle With Cubic Zirconia Cross Motif. 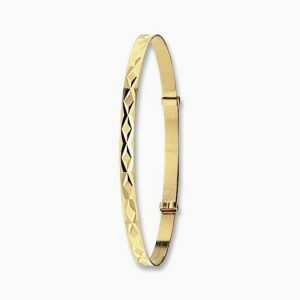 9ct Gold Baby Expandable Bangle With Diamond Cut Pattern.